I'm loving today's freebie from LD. It's a teepee! Click HERE or the image above to go to the LD site. Add the Animal Pow Wow (Cut It Project/SVG) to your cart and checkout. You pay $0.00! The link to the download will show up after the transaction is completed. Use their new coupon code 25OffPlease to take 25% off (with minimum $10 purchase). 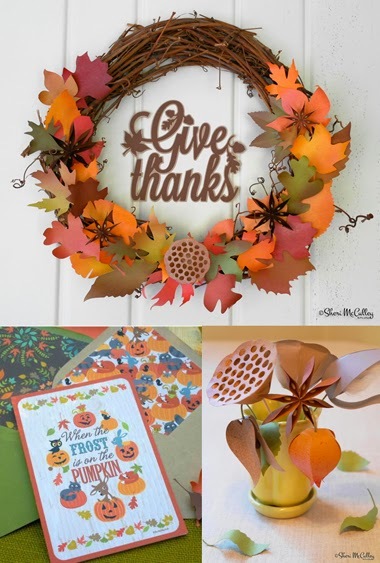 If you have not shopped the Harvest Hullabaloo, click HERE to grab your $1.25 Cut Its/SVG and $1 graphic sets before the sale ends TONIGHT. scrapNfonts is a sister site of LD and they too, have a freebie to give away today. 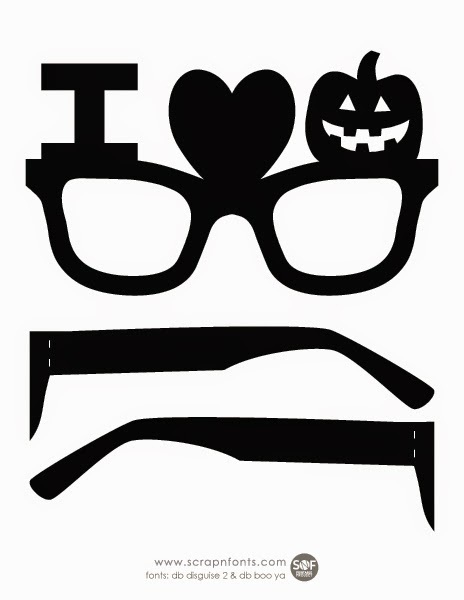 Click HERE to go to their Fontaholic blog and download the Halloween Glasses (printable) for free. Today is the last day of the LD Harvest Hullabaloo promotion. If you had missed any of the freebies that they have given out the past 7 days, you can get all of them today. Just click HERE and scroll down to grab them. It is also the last day to get your $1.25 Cut Its (SVG) cutting files and $1 graphics set. Use the coupon 25OffPlease to take an additional 25% off (with minimum $10 purchase). Click HERE to shop the sale. Have a Happy and Safe Halloween!! Click HERE or the image above to go to the LD site. Add the Something Wicked Candybar Wraps (printable) to your cart and checkout. You pay $0.00! The link to the download will show up after the transaction is completed. 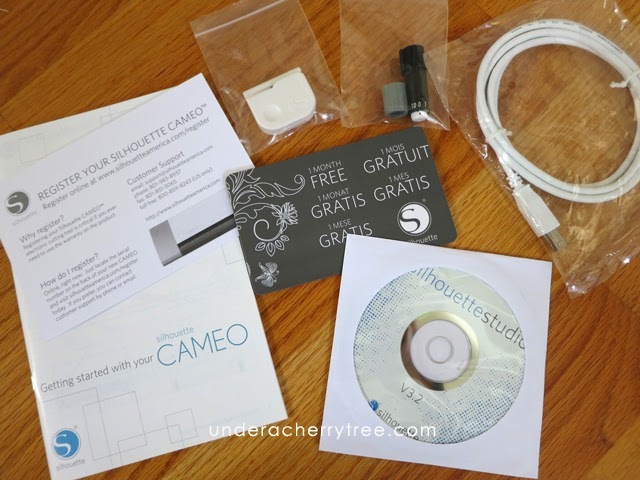 If you had missed the freebie from yesterday, click HERE to get it before it's gone. LD is giving away a freebie everyday during their Harvest Hullaballo. On Day 6, we get a free font! Click HERE or the image above to go to the LD site. Add the LD Messy type font to your cart and checkout. You pay $0.00! The link to the download will show up after the transaction is completed. One more thing, I usually remind y'all to pick up your weekly free shape from the Silhouette Design Store on my Friday Freebies post. 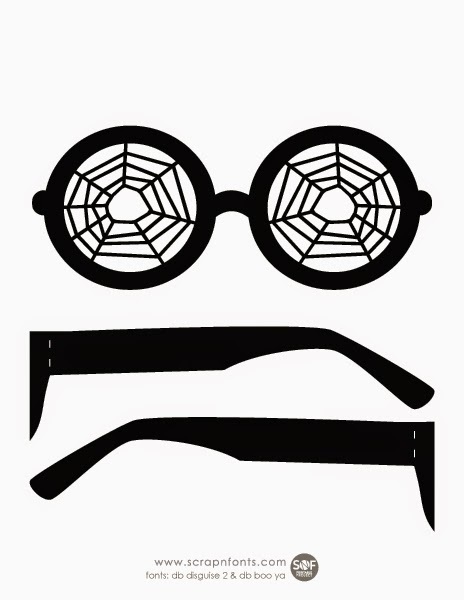 Since this week's free shape is a Halloween label, I thought I would mention it today instead so you can use it on or before Friday (Halloween!). Click HERE to get your free shape from the Silhouette Design Store. I seem to always be needing notecards around here. 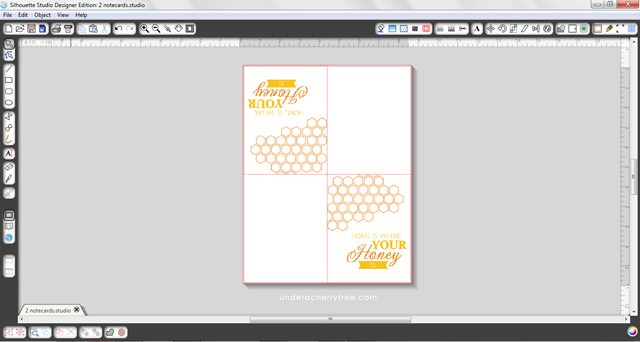 Luckily, making printed cards is super easy when you have a beautiful set of graphics and a fun, easy-to-use software. I love Silhouette Studio before the folks over at Silhouette America upgraded it to version 3. I am still using v2.8.16d simply because I find it more fun to use than anything v3. 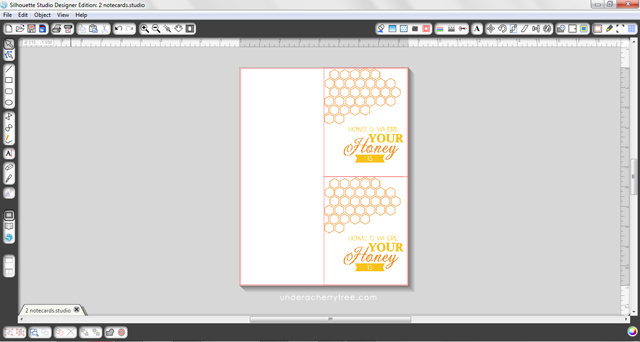 Making these Queen Bee notecards took no more than 15 minutes. I designed the cards in Silhouette Studio, and printed them. The cards were trimmed down to size with my manual paper trimmer. 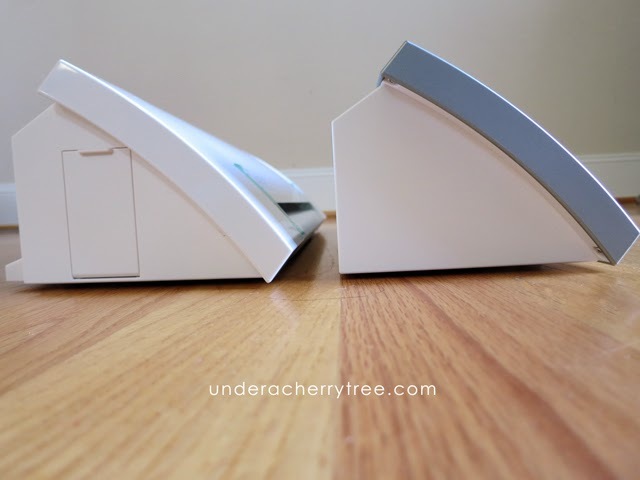 For a more finished look, I rounded the corners with my Corner Chomper. 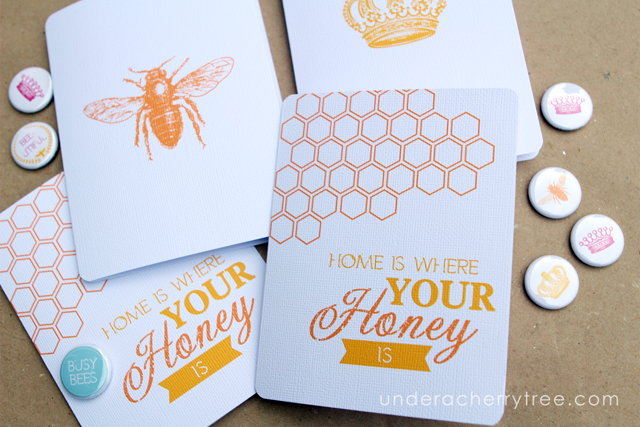 Unless your printer is set to borderless printing, you may find a white print border above the honeycomb design on one of the cards. To fix that, just flip the card over so that the two cards are diagonally across from each other. There are new stuff on the LD site and they are super cute! Click HERE to check out the new Sugar Monsters and get them at 75% off now. They are included in the LD Harvest Hullabaloo sale! Click HERE or the image above to go to the LD site. Add the Sugar Monster Paper Pack to your cart and checkout. You pay $0.00! The link to the download will show up after the transaction is completed. The LD Daily Freebies are only available for 24 hours. If you had missed the freebie from yesterday, there are a few hours left before it expires tonight (Tuesday) at midnight MST. Click HERE to get it. Check back here tomorrow for another freebie! 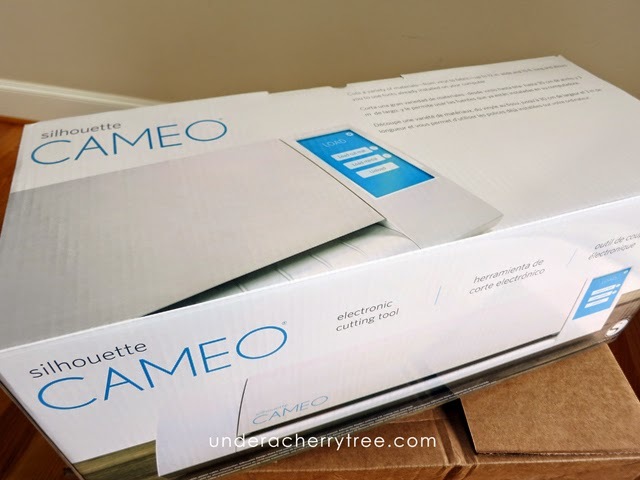 I have owned and used my Original Silhouette Cameo since Oct 2011. 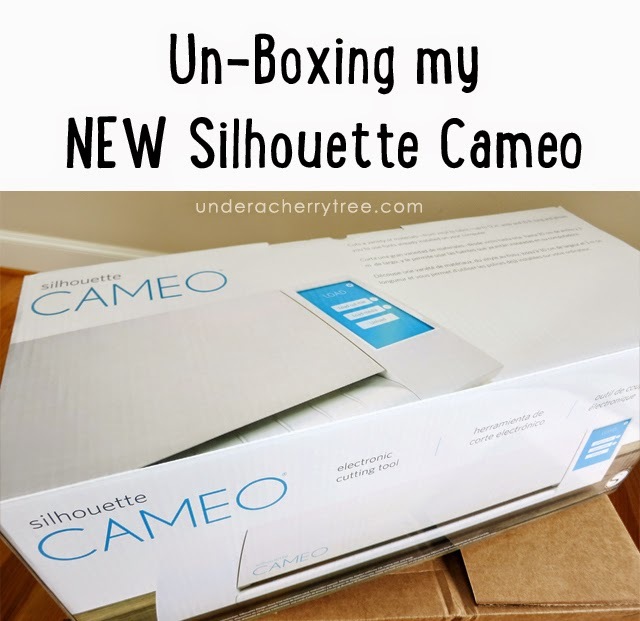 When I heard that Silhouette was releasing a New Silhouette Cameo, I decided to take the plunge and get it. After comparing prices, I went ahead and pre-ordered the Starter bundle when it was discounted for 22% off. 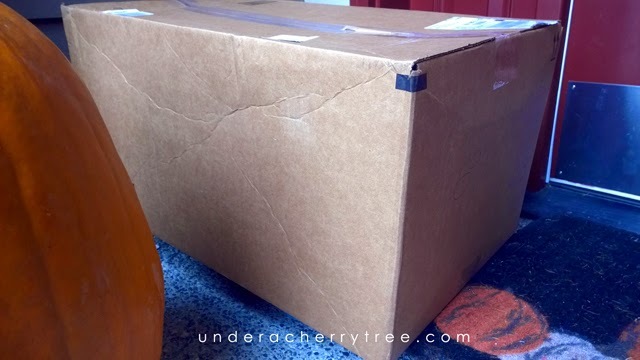 The machine was released on Oct 22 and UPS dropped it off on Oct 24 (last Friday). 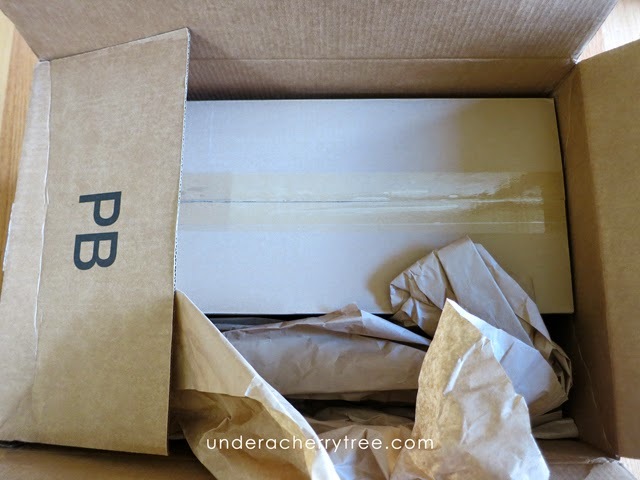 The Amazon box is just a little bigger than the box it had to enclose. 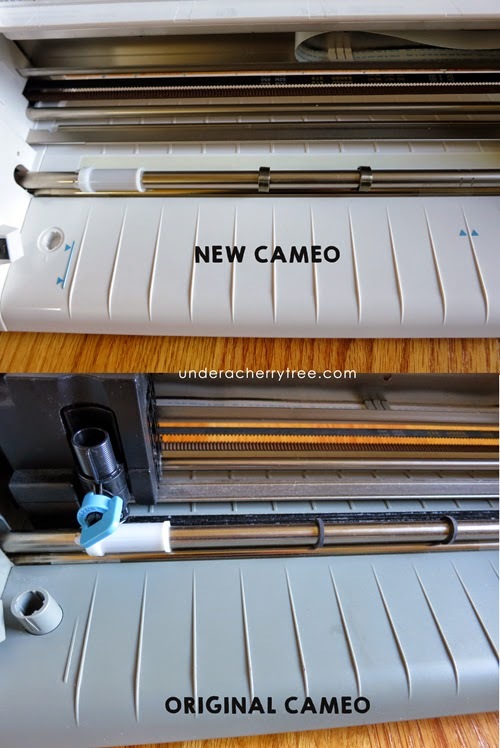 The Starter bundle includes the Silhouette New Cameo machine with 2 cutting mats, 2 cutting blades, a Pick-me-up tool, and a set of sketch pens. Getting the Silhouette box out of it's plain outer card box was tricky but I managed to "pour" it out with the help of my hubby. 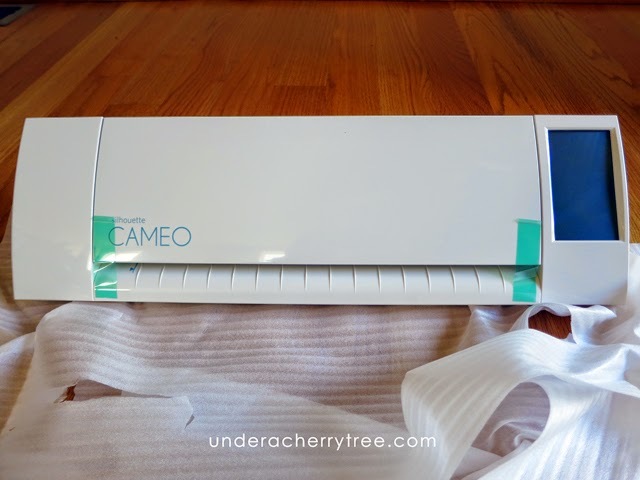 The New Silhouette Cameo machine is well-wrapped up. Let's get this baby out! 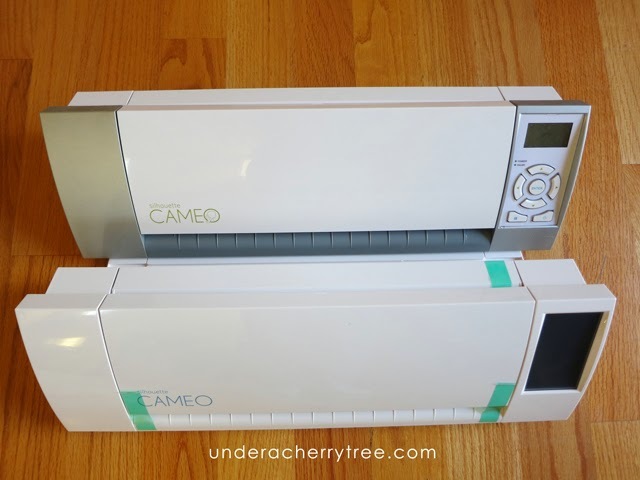 The New Silhouette Cameo is almost exactly the same size as the Original Silhouette Cameo but it has a bigger backside to accommodate the new crosscutter. 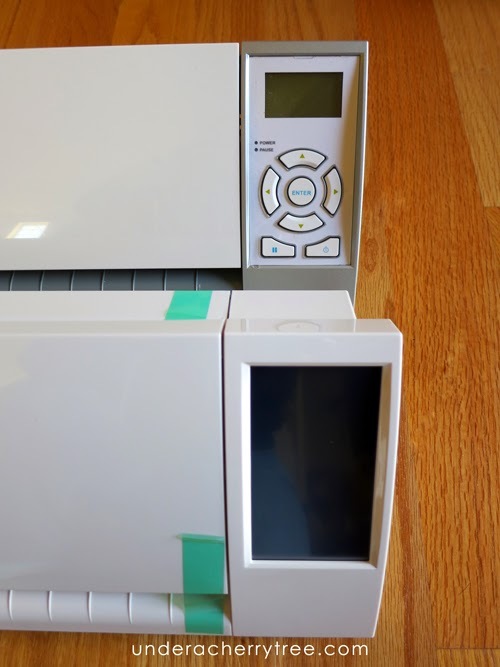 The most noticeable difference between the New and the Original Cameo is the control panel. 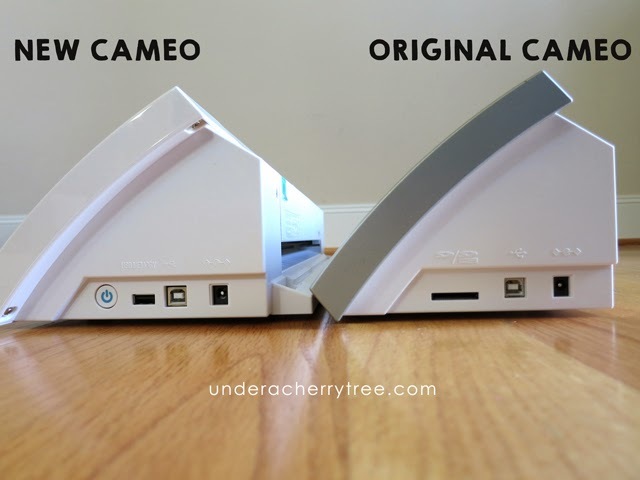 The one on the New Cameo is a touch screen. Here is how the cutters look like from the side. 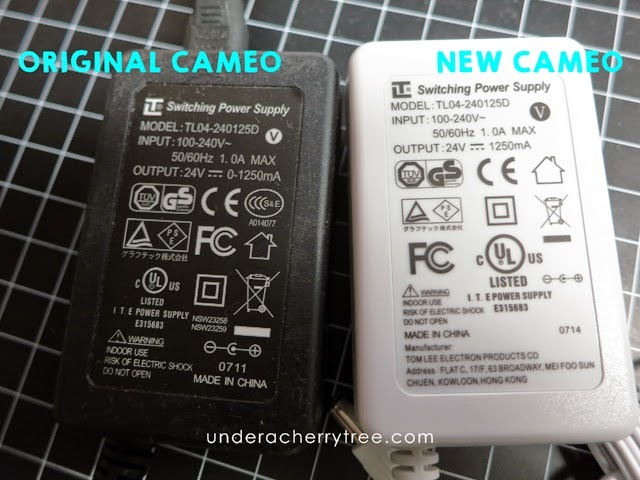 The slot for the SD card on the Original Cameo has been replaced by one for a USB stick. 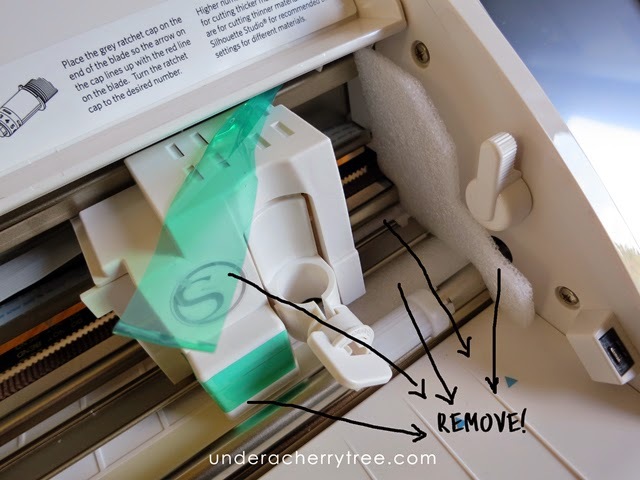 The On/Off switch is now on the side of the machine. Here is the view of the other side. 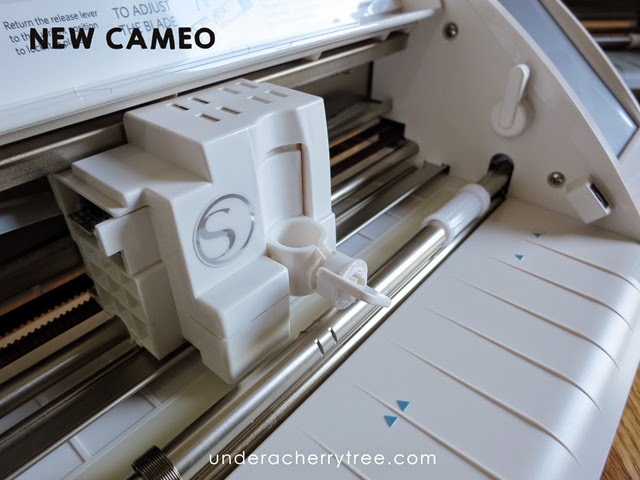 The New Cameo has an extra storage compartment for the cutting blades. The guides are now in blue and definitely easier to see. 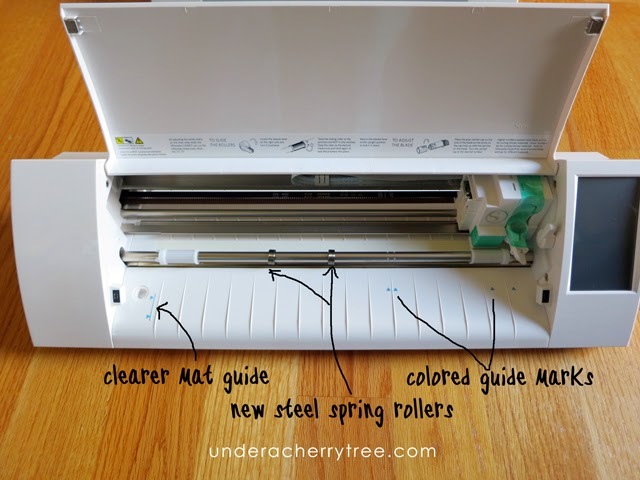 The rollers have also been changed from rubber to steel. Nice! 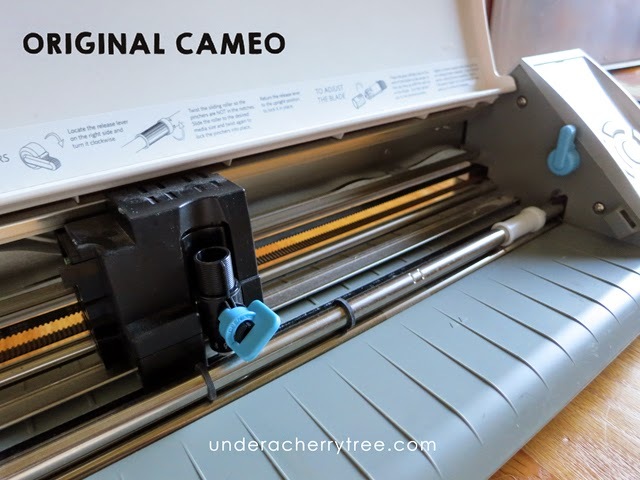 If you too had ordered a New Cameo machine, be sure to remove all the tape that secures the blade carriage as well as the 3 pieces of foam inside the cutter before using it. So far I'm liking the new look of this machine. 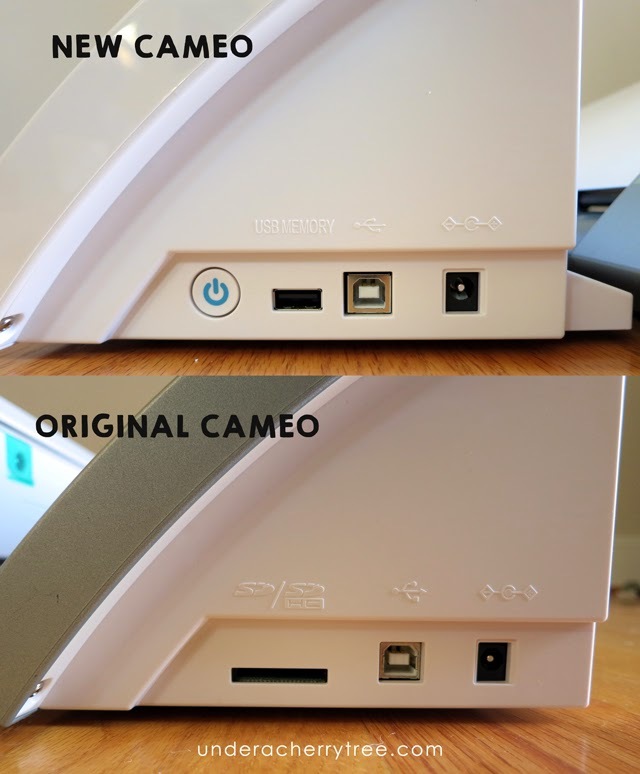 The New Cameo is all-white. I love the white! 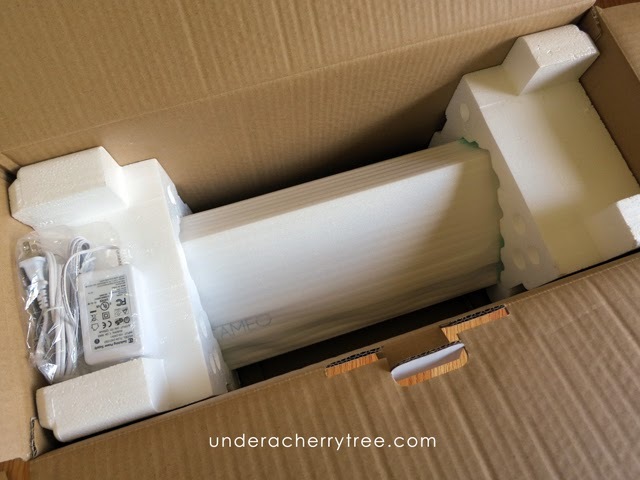 The machine casing is white, the blade carriage is white, even the AC adapter and the USB cable are white! Did I mention that my laptop is also all-white? 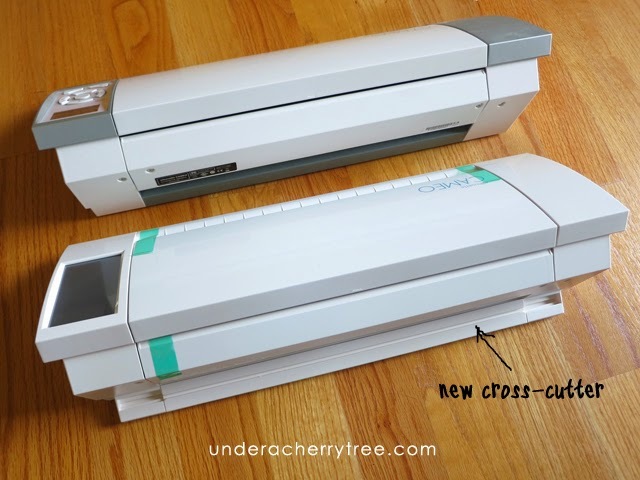 Now if only Silhouette America would come out with an all-white blade and everything will be matchy-matchy! That would be SO NICE! 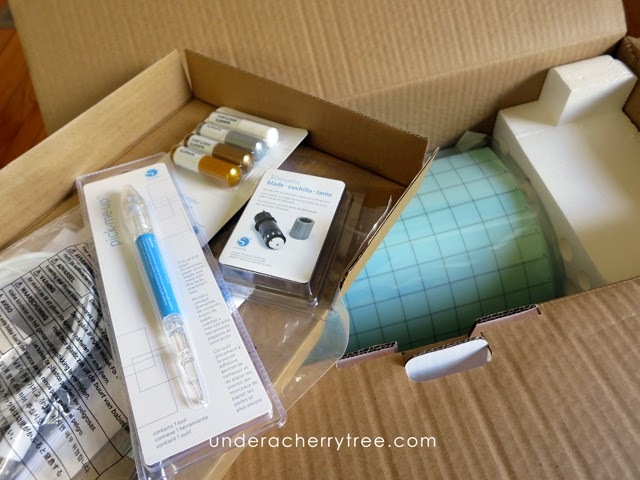 The other stuff that came in the box includes an user's manual, USB cable, a crosscutter blade, Silhouette Studio v3.2 (Yikes! Do I really have to upgrade to that?! You guys know how much I dislike v3! ), and a trial subscription card (for 1-month) to the Silhouette Design Store. One more thing, the numbers on the AC adapters seem to indicate that they are the same thing, just in a different color. I am not an electrician but this made me wonder if I can use the two adapters interchangeably. LD is giving away a freebie everyday during their Harvest Hullaballo. On Day 4, we get a free Queen Bee graphic set! Click HERE or the image above to go to the LD site. 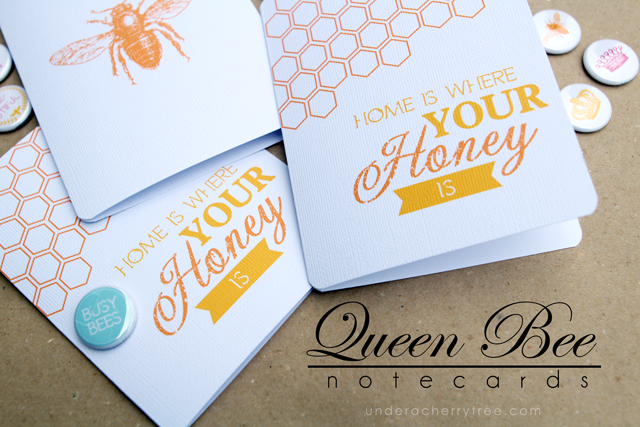 Add the Queen Bee graphics set to your cart and checkout. You pay $0.00! The link to the download will show up after the transaction is completed. The LD Daily Freebies are only available for 24 hours. If you had missed the freebie from yesterday, there are a few hours left before it expires tonight (Monday) at midnight MST. Click HERE to get it. Click HERE or the image above to go to the LD site. 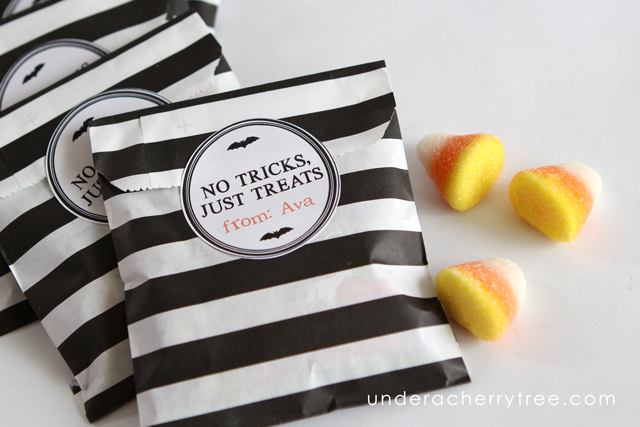 Add the Best Witches Cupcake Wrappers (printables) to your cart and checkout. You pay $0.00! The link to the download will show up after the transaction is completed. Don't forget to check out their Harvest Hullabaloo sale while you are there. The Cut Its (SVG) are only $1.25 a set! Even their Thin Fonts are 75% off! 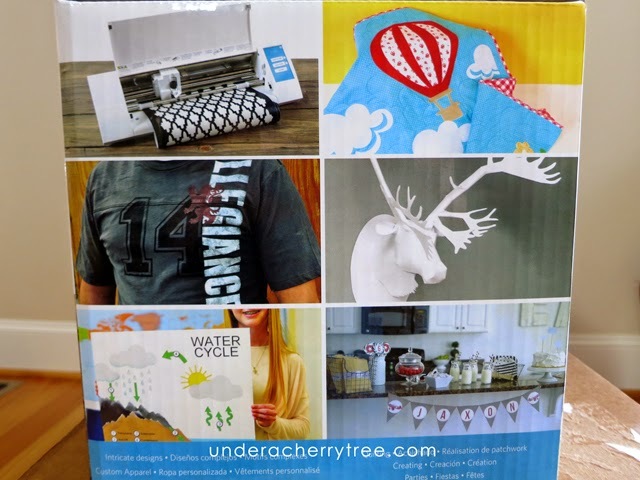 Click HERE to check out the sale. Heads up! Thin Fonts are on sale for 75% off! 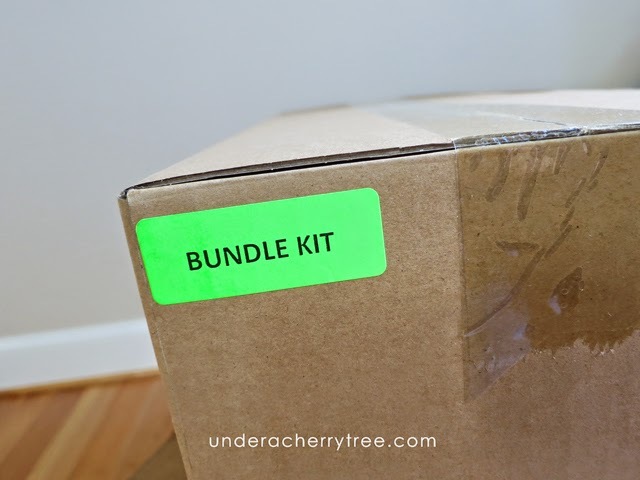 Thanks to blog reader, MizDenise, I found out that the bundles of 10 thin fonts are only $3.75 (reg. $15) while the single sets are only $1 (reg. $4)! If you have never used the LD Thin Fonts, now would be a great time to try them out! The LD Thin Fonts were developed for use with Make-the-Cut. 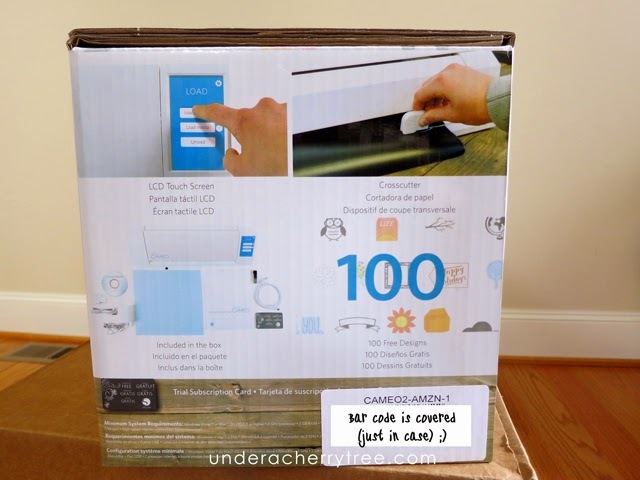 Click HERE and HERE to learn how you can use them with your Silhouette machine. Click HERE to get your Thin Fonts. It's Day 2 of LD's Harvest Hullabaloo! Did you get your $1.25 Cut Its (SVG) cutting files or $1 Graphics yet? Don't wait to shop the sale; it's only on for a week! LD is also giving a freebie every day this week. If you missed Day 1's free alphabet, click HERE to get it before it's gone. The daily freebie is only available for 24 hours. Click HERE or the image above to go to the LD site. Add the LD Goober-ier font to your cart and checkout. You pay $0.00! The link to the download will show up after the transaction is completed. Don't forget to check back tomorrow for another freebie! Whoop whoop! 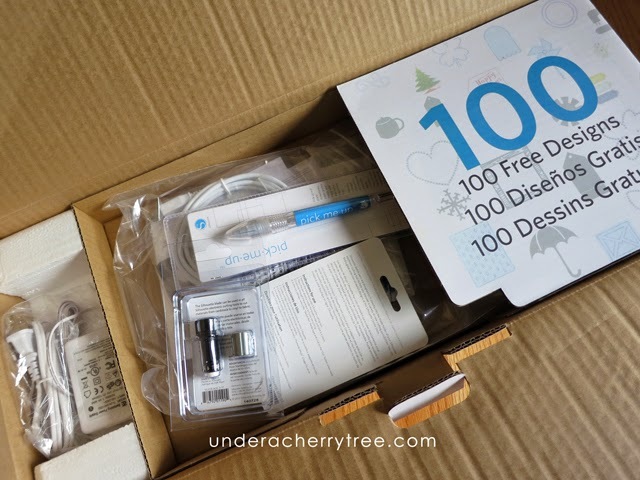 It's time for DAILY FREEBIES!!! LD has started their Harvest Hullabaloo today! Get your Cut Its (SVG) cutting files for only $1.25, graphics for $1, and here's my favorite part --- get a FREEBIE everyday for the next seven days! Woohoo! During the Harvest Hullabaloo, you can even get the DB Everyday doodlebat font for FREE with any purchase! In addition to the sale, LD has also released a new collection designed by Sheri McCulley. Her designs are gorgeous! Here are some of the graphics and Cut Its (SVG) that were released today. Click HERE to check out the rest. Click HERE or the image above to go to the LD site. Add both the Gather Together alphabet** to your cart and checkout. You pay $0.00! The link to the downloads will show up after the transaction is completed. Don't forget to come back tomorrow for another freebie! **NOTE: An alphabet is different from a font. The LD alphabet is made up of graphics and unlike their fonts, do NOT come with cutting lines. 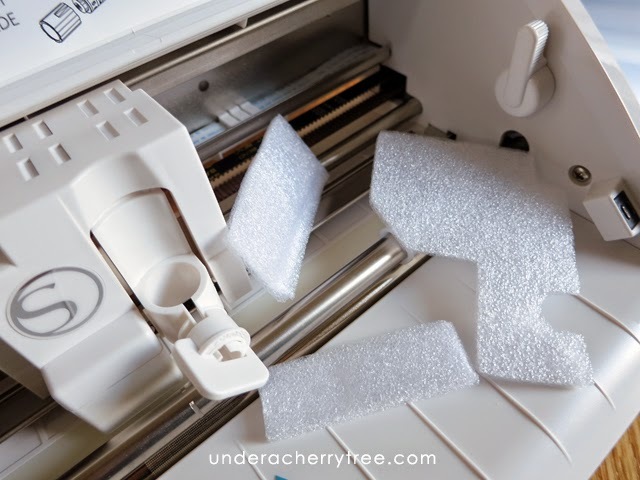 You must trace them like you would any other graphics if you want to cut them out with your cutting machine. scrapNfonts is a sister site of LD and they have a freebie to give away too. 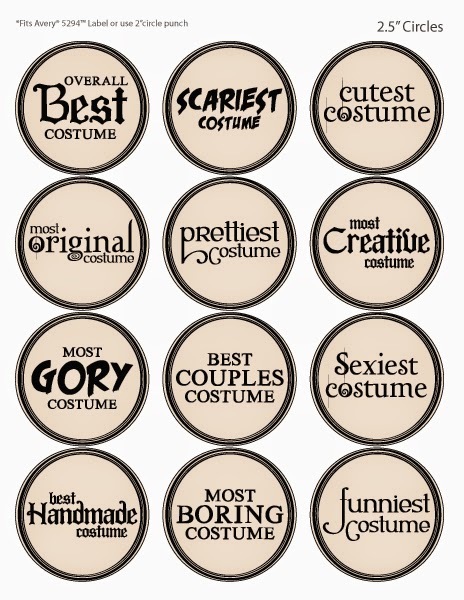 Click HERE to go to their Fontaholic blog to download the free Halloween Costume Contest Awards (printables). Silhouette users, don't forget to grab the weekly freebie from the Silhouette Design Store. 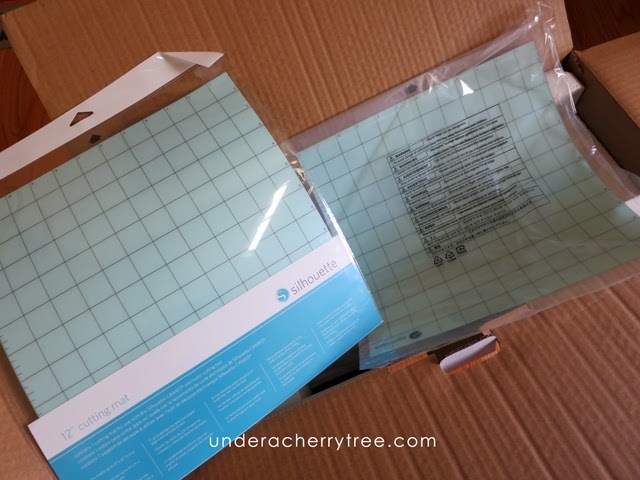 31% off Silhouette PixScan Cutting Mat!